Bespoke handcrafted interiors designed to fit your exact requirements. Julesbury Refurbishment has 20 years' experience in specialist design and implementation of bespoke interiors. ​We create individual solutions that are cost-effective and enduring. ​Every refurbishment project is different from the last; no two clients ever have the same combination of design requirements. Our skills are brought to bear interpreting your ideas. These expertise and experience mean you can rely on our services to provide solutions throughout your home, giving you confidence to focus on other things whilst your refurbishment project is being taken care of. We offer a wide range of services from full project management, to carpentry and joinery for kitchens, bathrooms and wet rooms as well as bespoke fitted and freestanding furniture. 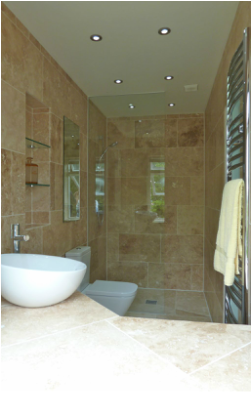 Julesbury Refurbishment is always happy to discuss your refurbishment plans with no obligation. We are proud to be approved members of the Guild of Master Craftsman. The guild represents skilled and reputable professionals who are masters of their particular trade. "Jules is part of the family! Trusted and reliable and I can leave him to it."